Fortnite v8.20 has dropped and with it has come many changes, some changes which fans aren’t really happy with. This being the fact that Epic Games has taken out the health/shield on elimination out of normal games modes. The health/shield on elimination is only granted in arena mode. Leaving a lot of fans unhappy. A lot more changes have happened as well, so be sure to check out the full patch notes down below. 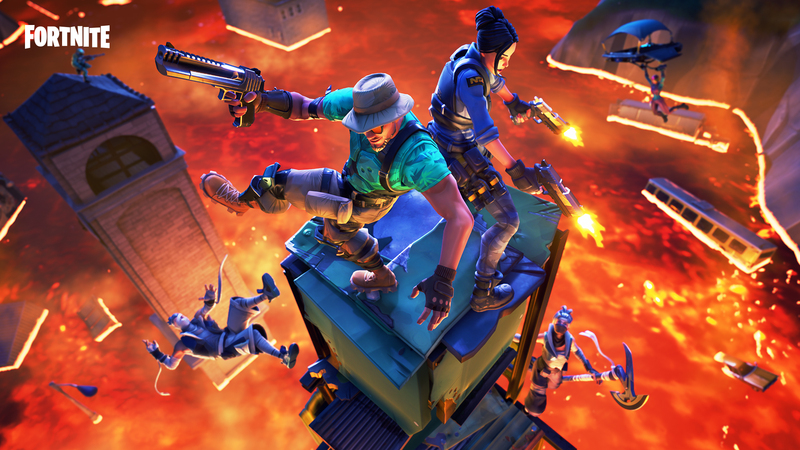 The Volcano has sprung a leak…Drop, loot, RUN! Hold the high ground and be the last one standing in this spicy new LTM. The indicator will continue to pulse every 3 seconds while the item is equipped. Adjusted the collision of the Pirate Cannon to ensure the driver’s seat is always enterable without needing to nudge the cannon. Increased the radius of cannonballs and player land explosions from 200 units to 250 units. Reduced cannon impulse/knockback when firing a cannonball while driving or when launching a player. This is unchanged when coasting. That’s not all! Increased infinite dab from 13 hours to 14 hours in the lobby. Compete any time and gain ‘Hype’ to advance to higher leagues and unlock exclusive tournaments, such as the Fortnite World Cup Online Opens. Each League is broken up into several Divisions, with players working their way from Open League to Contender League to Champion League. Scoring will update from division to division, with an increasing amount of Bus Fare lost with each match at higher divisions. Note: Matchmaking in Arena is based on players with similar Hype. As a result, players in higher divisions may experience longer than normal wait times before a match is found. Re-scaled audio volume settings to avoid clipping artifacts. If your volume was previously above 0.5 you will need to adjust the volume on your television or whichever device you’re playing on to achieve the same level of loudness. Footsteps from spectated players’ teammates are now played at a reduced volume. There’s now a setting to control if pinging while ADS/Targeting places a danger marker. On the Battle Pass page, scrolling down on the mouse wheel moves the contents right and scrolling up on the mouse wheel moves the images left. Fixed a bug that was causing a player’s Squad Fill preference to reset to “Fill”. Added loot pickup stream UI. This is the part of the UI that tracks how many resources and ammo you’re picking up. Ready to create some serious PvE challenges? Use the Creature Spawner to setup fiendish challenges for you and your friends. Line up the targets and hone your skills using this new gallery available in Creative Mode! 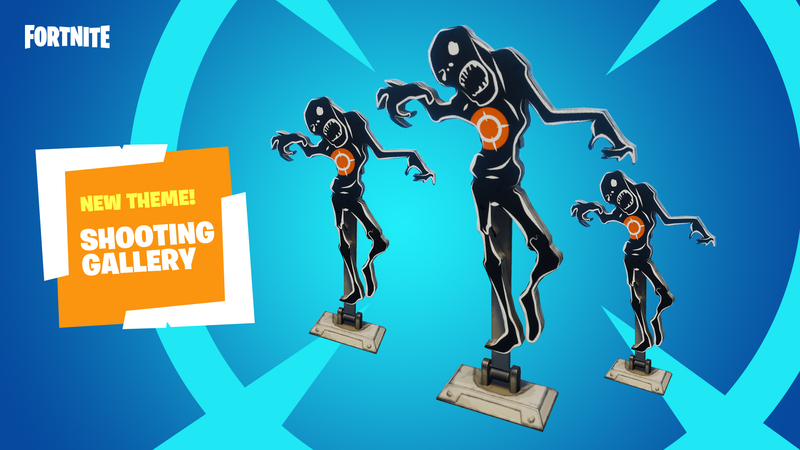 Portals added in the Creative Hub to access the Battle Royale Island. Added a waterfall along the edges of the Playground Hub. Fixed an issue where spectating players would still be considered to be on the island, even after leaving. Fixed an issue with creative replays not properly showing the correct time of day. Fixed an issue where some trees and rocks were floating on the Volcano Island. Fixed an issue where waterfalls didn’t have sound effects on the Volcano Island. Fixed an issue where rocks were losing their material and defaulting to dark blue rocks on the Volcano Island. If you’re unable to build on the Volcano Island, the island setting “Unlimited Material” need to be set to On. Added siphon settings to Creative Game Settings. Health Granted on Eliminations – Mix of values from 0 to 1000. Wood/Stone/Metal Granted on Eliminations – Mix of values from 0 to 999. Added a new scoreboard for Creature Eliminations that tracks how many creatures you’ve eliminated. Added a new win condition – Creature eliminations to win, with a mix of values from 1 to 1000. Moved the Challenge gallery and Chest & Ammo gallery from the gallery tab to the devices tab in Creative inventory. The goal is for anything that is interactable to be in the devices tab. Organized the devices tab in the following order: Galleries, Traps, Vehicle Spawners, Spawners. Organized the consumables tab – Resources, Ammo, Health, Shields, Grenades, fort throwables, and the rest. Improved Islands to restore faster after a game has ended. Starting game now ensures all players have downloaded the key game data before starting. This fixes game start issues for players on slower connections. Texture data should be reappearing on all buildings that lost their texture data. Griptape Obstacle Course is now fixed! Fixed an issue where being eliminated and entering a vehicle at the same time would cause the player to lose most controls. Fixed Game Settings resetting if “My Island” menu was opened before the island was ready to start a game. Fixed an issue where the camera occasionally behaved oddly when starting and ending games. Fixed an issue where the camera behaved oddly after respawning. Fixed an issue where the spectator camera would occasionally get stuck in the sky when the spectated player respawns. Fixed an issue where the camera would occasionally flip upside down for a brief moment after respawning in the sky. Fixed an issue where players could get stuck in a strange state when respawning while the game ended. Fixed an issue where players would start games in building mode instead of holding their pickaxe. Fixed an issue where the Treasure Map could appear in Chests in Creative Mode. This Mythic melee weapon can be found in the Weapons Tab in Creative Inventory. Primary Fire delivers a powerful sword slash. It deals big damage to enemies and destroys structures in one blow. Alternate Fire allows the player to leap great distances, destroying objects in its path. Upon landing, it delivers damage and a knock-up to nearby players. An increased pool of max Health and Shields (200 Health/200 Shields). Regeneration of effective Health over time up to max Health and Shields (1 HP per second). An instant burst of effective Health upon elimination of an enemy (50 HP). If a player picks up the Infinity Blade, all other inventory items aside from building materials will be dropped. When the wielder of the Infinity Blade picks up an item (aside from building materials), the Infinity Blade will be dropped. The Infinity Blade will be dropped when the wielder is knocked out or eliminated. Blade in Stone will be included in the next major release. Coming to a future patch… Multi Select. With a button press you’ll be able to select multiple items with the phone to copy and place. This feature needed more to fix issues. Fixed a bug with the phone tool that made it difficult to see the object highlight when pointing at extremely bright objects. Fixed a bug where music blocks would prevent you from selecting other props behind them, even if pointing above the blocks themselves. Added New Dirt, Grass and Cobblestone Floor Galleries. Grass is a flat grassy texture. 3D Grass Floor tech is currently a work in progress for the next major update! Added a New Tropical Rock Gallery. Updated the Volcano Rock Gallery to include additional rocks. Updated the Ring Gallery to include more lighted beams and a lighted grate. Added new General Props Gallery A and Gallery B. Large rock in the Tropical Rock Gallery has lava rock textures. This will be addressed in a future patch. Ice Cliff Gallery pieces, when selected with phone, are way up in the air, which makes placement difficult. We’re working on a solution for a future patch. Ice Cliff Gallery pieces have jump collision issues. Particle props will now delete when resetting the Island. Ice Cliff Gallery pieces will no longer be destroyed when building through them. Fixed an issue where certain particle props would begin flickering when many particles were placed. The visual effects remained visible even after deleted or island restart. Fixed an issue where the ‘Lava Tiles Gallery’ had invisible collision. Fixed an issue where the spark particle visual effects flickered when walked through. Fixed an issue where the collision bounds for Visualizer Gallery pieces are much higher than the pieces themselves. Removed the consumable apples from the ‘Cozy Cabin’ prefab. They weren’t working correctly in Creative and will be added back once we’ve resolved the issues. Fixed an issue where the Jungle Temple Gallery has no green inner corners. Fixed an issue where the grass was clipping through some props or assets in the Mine Cart Gallery, Industrial Gallery A, Cabins Prop Gallery and General Gallery A. Fixed an issue where the ‘Cabin Prop Gallery’ had an invisible collision when deployed above ground. Spawn up to 20 creatures at a time on your island. Select from 6 types of creatures, from a normal fiend, up to a Megabrute. Set the number of creatures to spawn from 1 to 20. Set the total available number to spawn from 1 to infinite. Set how fast they should spawn with the wave timer from 1 second to 5 minutes. Set how close the player needs to be for the spawner to activate from 1 tile to 15 tiles. Set distance away from players for the creature(s) to despawn between 1-15 tiles. Set various properties on the spawner: Visibility, Invincibility, Destroying pieces on spawn, and Spawn effects. Set the number of tiles from the spawner the creatures should spawn from 2 to 6. Currently, this is limited to creatures spawning exactly that distance away from the spawner. A future update will allow creatures to spawn in more confined spaces. Limited to having 32 spawners per island. Creatures will sometimes get stuck on indestructible pieces. Generating the AI navigation map can take a long time. Players may see long loading times on really complex islands. Music Sequencer doesn’t always eliminate Creatures. Select from 14 different types of shooting targets with 12 options that can be set to create a different play. Targets can be either stationary or on a moving rail. Moving rail targets are limited to 200 for performance. Use the Total Score scoreboard type for building Shooting Gallery games. Set the score per target from -20 to 20 for when it’s knocked down. Set score multiplier for hitting the bullseye when knocking the target down. Set which team receives a score for knocking down the target. Set the amount of health a target has before it’s knocked down from 1 to 5000. Set the amount of time it takes for a knocked down target to reset from, Never Reset, 2 to 600 seconds. Set the maximum number of times a target will pop back up from infinite, 1 to 10. Set a time delay to hide: Off, 1 second to 20 minutes. Set the starting position up or down. Set proximity from the player for a target to pop up. Once activated target will stay up unless a time to hide is set. Set the hinge location base or center. Set the bullseye to instantly knock down the target to on/off. Make your targets move up and down with Hop Time: 0.5 seconds to 20 seconds. Targets spawned from the gallery will reset to the Standing target if they are not modified or copied with the phone when a player leaves and rejoins their island. Hitting the bullseye will not cause critical damage multiplier on the Standing target and Round targets. If a thrown device grenade reaches the maximum quantity limitation for the moving targets, the spawning targets will replace the earliest placed ones. Added new options for the Team Settings & Inventory device. Instant Reload – Weapons do not require reload animations upon depleting magazines. Added new material options for the barrier: Space Black, Gloss Black, Sky Blue, Red Forcefield, and Blue Forcefield. Challenge Gallery and Treasure Gallery have been moved to the Devices Tab. Fixed an issue where damage Traps (ie. Spikes) would trigger on players and vehicles when a game was not active. Fixed an issue where unmanned vehicles would trigger elimination audio cues when sitting in the Elimination Zone and Music Sequencer. Fixed an issue where players who are unaffected by a damage volume device would trigger elimination audio cues. Fixed an issue where Music Sequencer damage option was causing loud sound effects. Fixed an issue where the Music Sequencer damage sound effect was triggered when the player was standing close to it. Fixed an issue where the Sentry would trigger multiple hit sound effects from the Music Sequencer, when damage was turned on. Fixed an issue where teams were able to destroy their own Objective Device while boosting with a Quadcrasher. Fixed an issue where player-built wooden floors would clip through Player Spawn and Player Checkpoint Plate. Fixed an issue where the Max Initial Team Size setting on the Team Settings & Inventory device wouldn’t apply as intended when set to Unlimited. Improved the loading experience when joining and leaving games. Allow games to start only after the Island has fully loaded. Smoothed the transition of fade-in and fade-out of loading screens. Changed the “Leave Match” button to “Leave Playground” when in Playground mode. HUD indicators for Devices/Traps placed on Islands are now hidden. HUD elements are now hidden when transitioning into and out of games. Improved transitioning to spectator mode when a game has “join in progress” disabled. Replaced the lighting bolt in triangle with an exclamation point in triangle for damage zones. Fixed an issue where the mobile HUD stayed visible during game transitions. Updated string in Creative Mutator to say “Return to Hub” instead of “Return to Creative Hub” as the menu option has changed names. Fixed an issue where some game UI elements would sometimes not appear correctly. Fixed an issue where players weren’t notified when they joined a game as a spectator. Fixed an issue where Device tooltips appeared while playing a game in Playground. Fixed an issue where rich presence wasn’t clarifying whether a player was in Playground or Creative when selecting a server. Fixed an issue where the Hub was still being referred to as the “Creative Hub”. Fixed a misspelling in the My Island menu. Fixed an issue where the Sky spawn location was referred to as “air”. Fixed an issue where players would occasionally remain on the “Restoring Island” screen after a game ends. Fixed an issue where game settings would get set to defaults if the player open and closed the My Creative Island menu after entering their island. Pirates have invaded Homebase! Grab an eye-patch, and prepare for a swashbuckling, plundering, plank-walking adventure. Time is short! 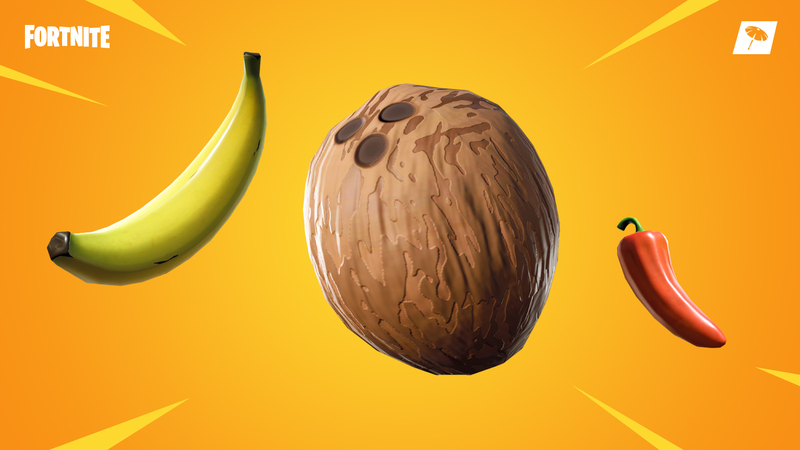 Collect the list of items and refill your backpack before the Storm closes in! Ahoy Mateys! Join our Heroes and complete the “Yarrr!” Questline to earn event themed rewards. 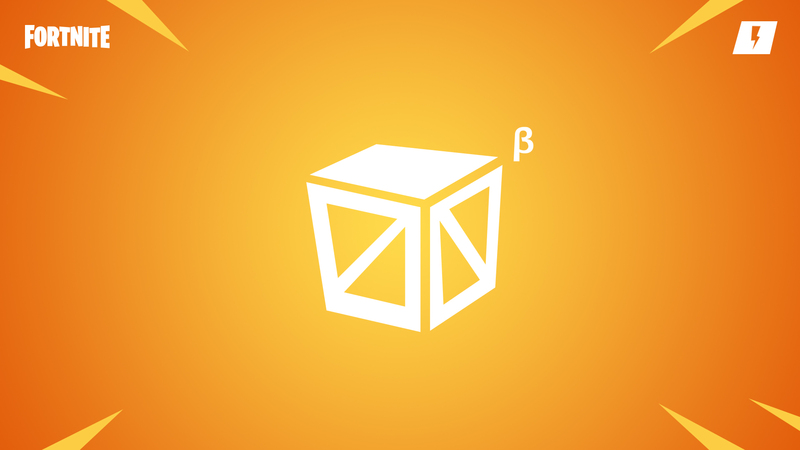 Once per zone, players can find a map that leads to treasure by opening chests and safes. HUD scale setting now also applies to HUD announcements. Fixed an issue where the Xbox controller could lose input in the frontend after interacting with the event banner. Fixed defender trap UI issues related to selecting a defender from a different pad. Players should no longer lose navigation functionality when returned to the Quest Tab from the Quest log. Consumable items that are currently hovered over in the Resource menu should no longer be consumed when selecting an option from the ‘More’ popup menu. Fixed an issue that caused the “Transform” item dialog to not properly show up when inspecting the transformed item. Fixed an issue that would cause items and people to become offset from the camera while being leveled up or evolved. Fixed the ability description text getting cut off in Hero inspect details panel. Fixed research point accumulation text to use the correct pluralization when a single point is earned. Fixed an issue that caused the HUD vote indicator to not properly show when the pickup info setting is disabled. The banner in the Manage Profile menu should now display correctly for players with really long account names. Fixed an issue where players were unable to back out of the Modify Perks menu. Fixed an issue that caused slotted collection book items to show the “you must unslot an item before it can be reset” error message. Fixed an issue that caused the zones to not properly update when changing the privacy settings while on the map. Updated the Expedition screen to properly update the Expedition list when first entering the screen. Placeholder text should no longer be visible when inspecting X-Ray Llamas. Fixed Hero abilities appearing grayed out on the quickbar if another ability is used right as it is coming off cooldown. Hero Loadout unlocks now appear in feature unlock screen as opposed to the quest reward screen. Improved responsiveness of equipping items to quick bar slots. The full-screen minimap is now prepared in advance to fix a hitch on the first map display. Fixed a hitch when another player loads into a match that’s already in progress. Fixed a hitch when entering the Shadow Stance effect. Updated the Expedition screen to increase performance when hovering over buttons. We’ve added a new Hero to the Event store! Hybrid, a new Legendary Ninja! Increases Affliction Duration by 34%. Increases Affliction Duration by 67%. Dragon Slash applies Affliction, which deals 15 base Fire Damage per second for 3 seconds. We’re introducing a new Hero with the “Yarrr!” quest line. Increases Cannonball Damage by 20%. Increases Cannonball Damage by 40%. Converts R.O.S.I.E to fire 25 cannonballs. Obtainable through the “Yarrr!” Questline. We’ve added 4 new Pirate Heroes that can be obtained in the Pirate Llama. Crossbones Barret, a new Pirate Outlander! 20% chance to find Coconuts in containers. Coconuts restore health instantly and restore additional health over time. Increases damage by 16% while under the effects of a Coconut. 30% chance to find Coconuts in containers. Coconuts restore health instantly and restore additional health over time. Increases damage by 36% while under the effects of a Coconut. 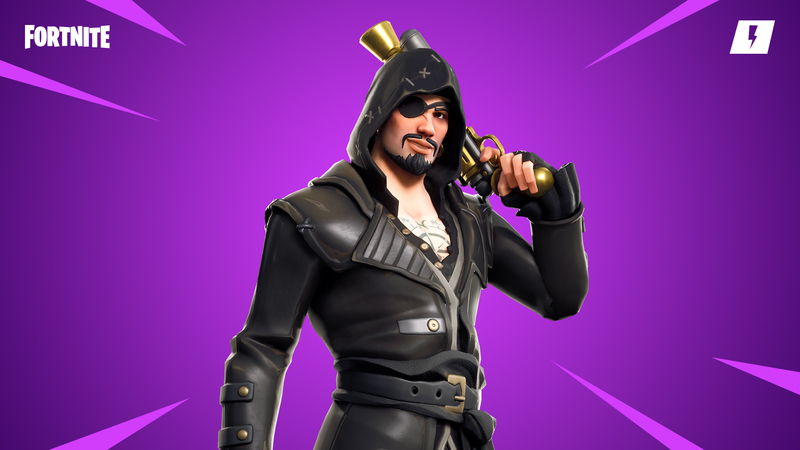 Buccaneer Jonesy, a new Pirate Soldier! Dealing Sword Damage Increases Pistol Damage by 22% for 6 seconds. Dealing Sword Damage Increases Pistol Damage by 65% for 6 seconds. Swashbuckler Keelhaul, a new Pirate Ninja! Dealing Pistol Damage Increases Sword Damage by 22% for 6 seconds. Dealing Pistol Damage Increases Sword Damage by 65% for 6 seconds. Privateer Hype, a new Pirate Constructor! Increases Club Damage by 17%. Increases Club Damage by 50%. Acquiring Blakebeard will unlock a new Quest, which rewards a new Team Perk! Requires 3 Pirate Heroes in your loadout. Constructor R.O.S.I.E. can now be auto placed, just like traps. Overtaker Hiro is eligible for an item reset due to his head being changed in update v8.11. Free items that have been unslotted from the collection book will no longer be eligible for a reset if they have not been upgraded. Fixed an issue that prevented Impossibility Matrix from correctly reducing the cooldown of Shock Tower. Fixed an issue where Survivalist wouldn’t trigger if the player also had the Emergency Override+ commander perk. Fixed an issue where Bass Solo extended Warcry by 1 or 2 seconds per elimination, instead of the intended duration of 0.4 or 0.9 seconds per elimination. Steel Wool Carlos has been marked eligible for item reset. A heavy hammer with slow, wide swings and a powerful smash attack. A mid-sized scythe with wide sweeping attacks and a new channeled spinning heavy attack. A deadly cutlass that combines a good mix of damage and impact with exceptional crit. Best when paired with pistols. Quad Chop: A series of heavy attacks that deal increased damage and knockback. Single shot piercing pistol with a powerful kick that deals heavy headshot damage and knocks back targets. Most effective when used with a sword in close to mid-range combat. Increased the attack speed of Quad Chop heavy attack by 35%. Increased damage per second by 4.6%. Increased impact per second by 7%. Purchasing random schematics from the event store will now put the schematic directly in your inventory instead of granting a Llama to open. Fixed an issue where the Yeoman sniper rifle could spawn extra projectile impact particles. Changed Joel and Karolina Mythic survivors so that only one copy of each is allowed in the inventory at a time. Removed the Skatepark that could load into Autumn Cities that was causing building issues. 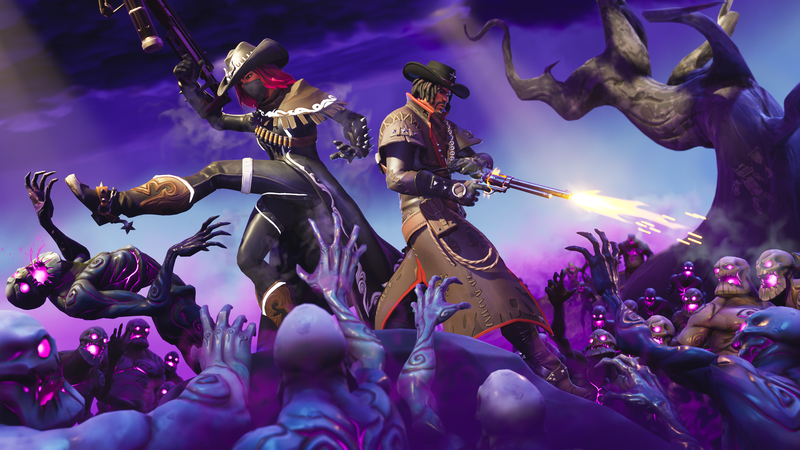 Several quest requirements in Plankerton and Canny Valley have been adjusted. Required Objective Counts for some Quests have been reduced in Plankerton. Enhanced Demoltion has been re-enabled! 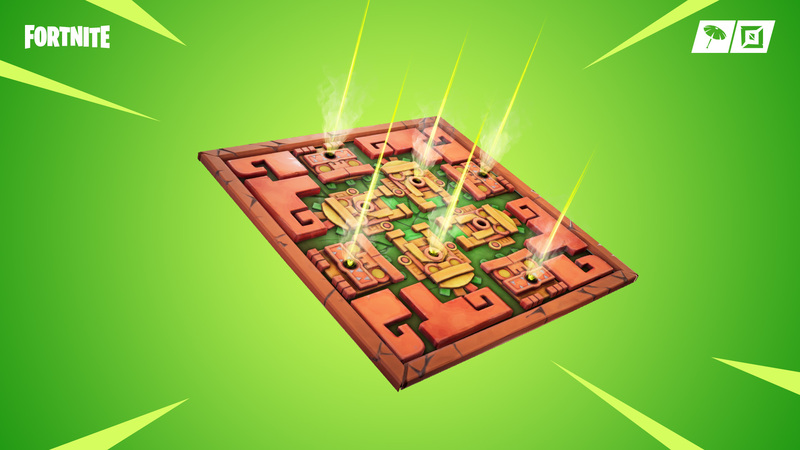 Trap resources go back to the trap owner if present when using Enhanced Demolition in a player’s Storm Shield Base. Increased the number of resources gained when destroying tier 2 and 3 building pieces. Fixed an issue that caused players to load into the game as one Hero while having the active abilities of another Hero. Fixed an issue where players loaded into the game with their Hero missing and having to wait for a timer to count down to respawn. Fixed an issue where defenders would keep previously equipped weapons if spawned on a second defender pad. Fixed Deliver the Bomb in the Thunder Route 99 zone, where the Armory and Launcher would be reversed. Campfire traps no longer heal players who are DBNO. Fixed an issue where players were unable to place traps on floor pieces that are built over other level floor pieces, such as sidewalks. Fixed an issue that caused players to load into a zone with a level 1 pickaxe. Fixed an issue that caused weapons, Gadgets or Abilities to not appear on the quickbar. Survivors no longer benefit from Bluglo Pylon buffs. Fixed an issue that allowed Husks to continue moving while frozen in a slow field. Added audio for new perks, ambient sounds, and items. Fixed an issue that caused music to be missing in certain areas. Fixed an issue with missing audio in the onboarding cinematic. Fixed an issue with missing sound on Banner placement. Fixed an issue that caused the ground wave from Seismic Impact to have no sound. Updated threat music so that is reserved for more significant threats during combat. Fixed an issue with DBNO music continuing after the player has been revived. Fix an issue with music not playing for players joining the Test the Limits quest late. Quantity selector slider and settings slider will now accelerate over time when using a gamepad. Fixed some issues with being able to click survey answers with mouse buttons other than the primary (left) button. Updated the controller settings screen so the text for the header “Controller Configurations” can grow vertically as opposed to growing wider. This stops text from going behind the next column. Added a “Joinable Parties” section to the Social Panel to provide a quick overview of the parties that your friend(s) are in with at least two members. Party Invite list is now merged into this list. In the case of an invite, the sender’s name will get highlighted in the party entry, and the entry itself will have a different background. Change the Voice Channel you want to use during active gameplay. Choose “Party” to speak with everyone in your party, and “Game” to speak to the game-specific channel. Fixed a bug where traps could be hidden under the terrain. We’ve increased the bandwidth cap for all game modes. This should help with network performance issues across all platforms.